When you need a convenient self storage unit in Phelan, CA we are here help. At Phelan Self Storage, we provide customers with a high quality storage facility that can’t be beat. When you get a storage rental unit from us you get convenience, security, and affordability to make your packing and storage days easy as can be. 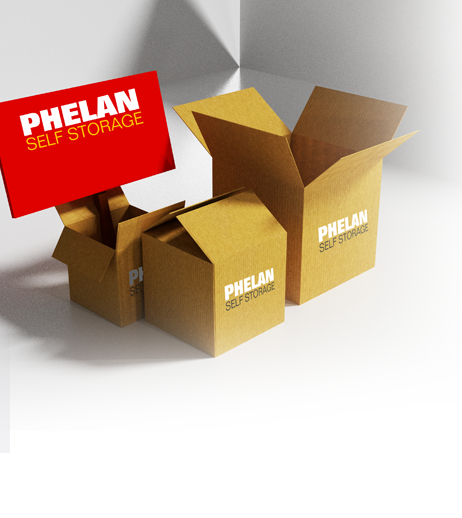 At Phelan Self Storage, you get features that make your self storage rental stress free. Our office is open M-F: 9.30am to 6.30pm, Sat: 9am to 5pm, and Sun: 9am to 3pm with daily access hours 6am to 9pm. The site offers a wide range of storage unit sizes, car, boat and RV storage as well as moving and packing supplies for easy convenience. When you rent storage units in Phelan, CA you want security. At Phelan Self Storage we want you to feel safe, leaving your personal belongings. We have outfitted our facility with 24/7 video surveillance and provide an on-site manager who keeps a watchful eye on things. At Phelan Self Storage, you get a facility that is run by experienced professionals. We bring years of experience from working in the industry and know how to provide storage solutions that are just right. We have wide driveways and access areas for cars, boats or RV storage. We work hard to always exceed your expectations with a high quality facility and friendly customer care.